This delicious looking sandwich is not mine. I did not eat it. Nor did I take the picture. I have to credit my friend with that. However a few minutes before, I had hungrily chowed down on a similar looking sandwich, when I realized that I hadn't taken a picture. My friend and I met for lunch a few weeks ago, so we could brainstorm a project that we're interested in collaborating on together. She has no fear and is one of the most interesting people that I know. When I realized that I forgot to take a picture, she saw a couple getting ready to sit down and one of them had this sandwich. She asked if she could take a picture of the sandwich for her friend, pointing to me, who is a food blogger. Gulp. I couldn't believe she did that, but I'm glad she did. I can't tell if the sandwich pictured above has bacon in it, but I had the vegetarian version. It was filling and delicious too! 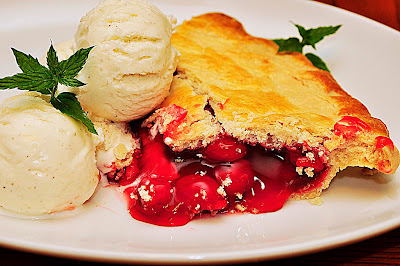 I didn't even have room for dessert! The bread was fresh and the red onion, spinach, sweet potatoes and goat cheese were such a wonderful combination of flavors. 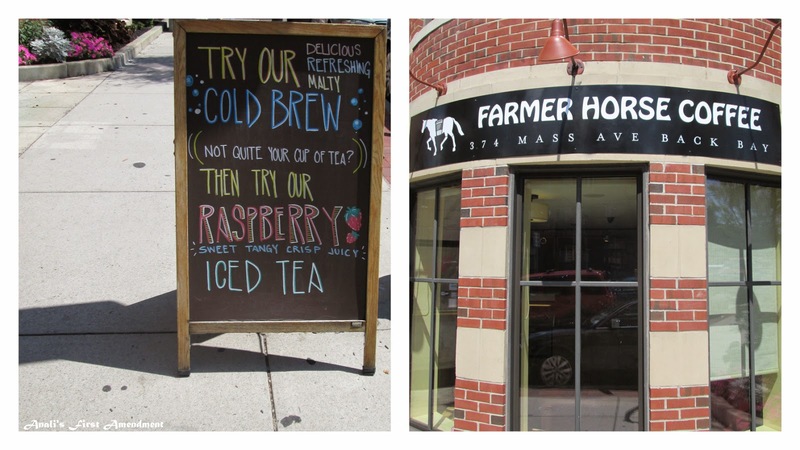 On the day that we were there, we learned that Farmer Horse Coffee was celebrating its three month anniversary. A pretty big deal! I suggested Farmer Horse Coffee, because a few months ago I had received an email inviting me to the opening celebration. 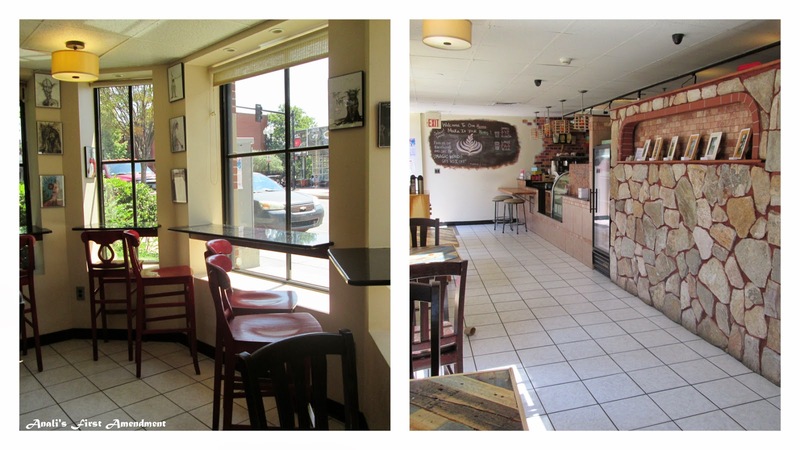 I didn't get to go, but was intrigued by the idea of a new coffee shop opening up specializing in Ethiopian coffee and with an owner who is from Ethiopia. While I loved the food, the coffee was my main reason for wanting to try the place. 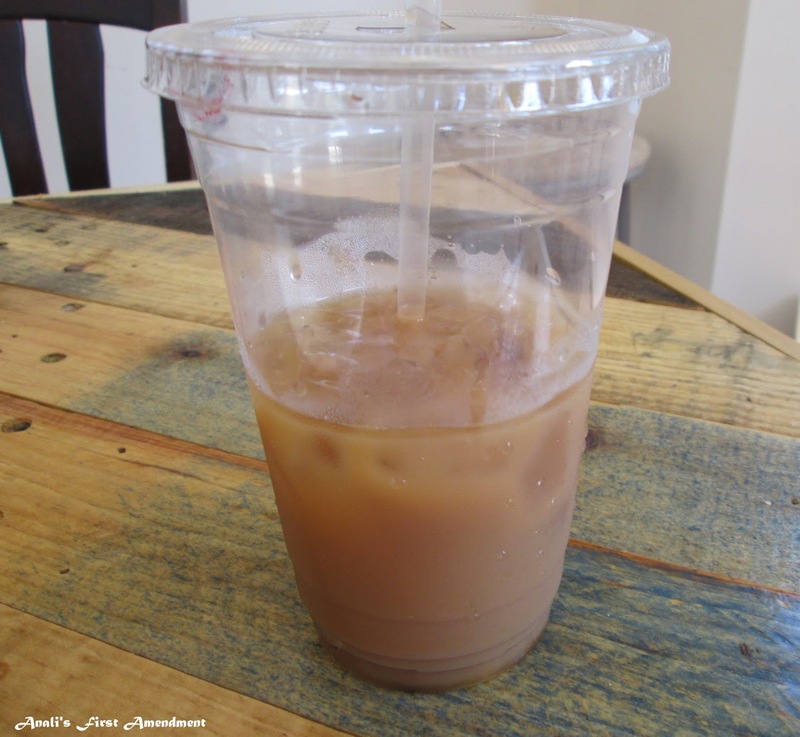 I had the cold brewed iced coffee, which was just perfect! Not too strong and not too weak. But I do like very strong coffee. The interior is bright and cheerful and much larger than I had expected. The location is great too -- on Mass. Ave, not too far away from Northeastern University. I imagine they should get a nice share of the college crowd that is now filling up the city again. When we visited it was early Saturday afternoon, but we were both able to get nearby metered parking. If you're taking the T, the Mass. Ave. stop is right there too. I definitely recommend Farmer Horse Coffee and hope to return soon! Sandwich Photo Credit: Jennie Sandberg, who also sells the most amazing soaps at her new Etsy shop, SkyDancerBotanicals.